We Found 10 Gorgeous Necklaces that You Can Wear As Bracelets! 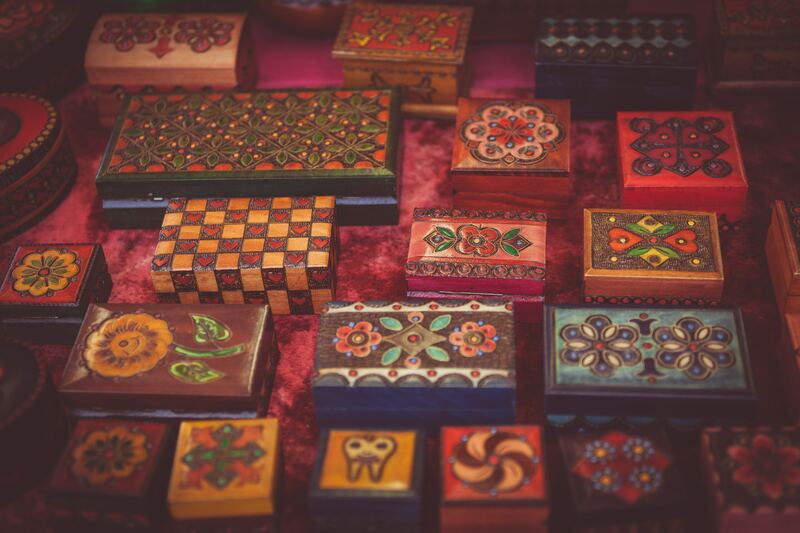 Do you love collecting jewelry? Some of us have a very specific style that we like, while others may have a large variety of colors and trends. Often times people have a preference as to whether they like a certain kind of jewelry. By that we mean, do you find yourself scouting out earring and necklace sets, or more rings and bracelets? Or maybe you find yourself mixing those and obsessing over necklaces and bracelets. If you are that person, or anywhere in between, you are going to love what we have to share. 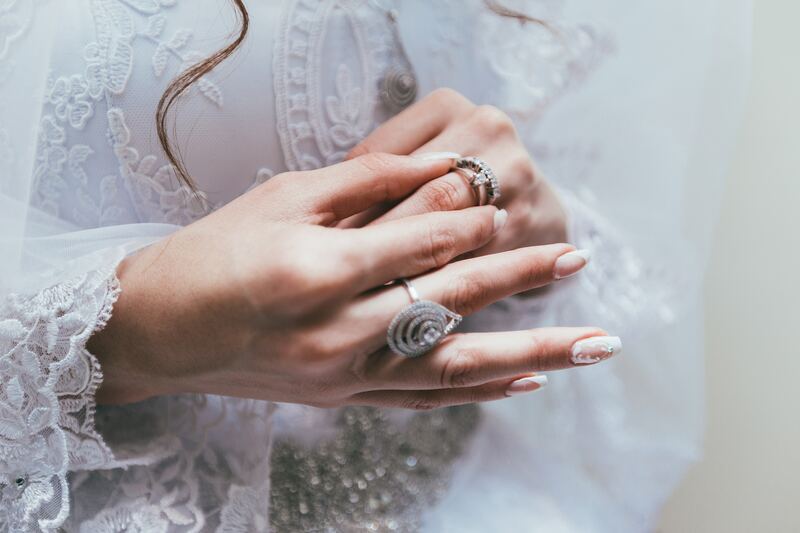 You may already be a professional at it, or maybe this will be your first go round, but either way, you can expect to see some darling and versatile pieces that you will be thrilled to add to your jewelry collection. We love the idea of wearing your necklace as a bracelet as well. Have you ever been in a situation where you are looking for a bracelet, that perfect one, but can’t find just what you are looking for? We have! Then there are those times when you absolutely love a necklace you see, but can’t decide between a few of them that you have been eyeing. Whether you are having struggles in your jewelry shopping, can’t decide what item to pick between a bracelet or a necklace, or you simply want to liven up your wardrobe, these necklaces will all be great choices for you. So what is so great about them? Each of these pieces is gorgeous in and of themselves. 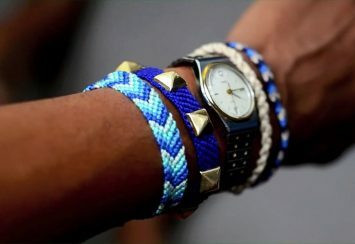 But we absolutely love the idea of making them a little more versatile by wearing them as a bracelet as well. Switch up your look from day to day, or even morning to night, by changing your necklace into a bracelet. Simply take the necklace and for some of them, you will want to unclasp it to get it to lay just how you want. Then wrap it around your wrist until you have reached the desired tightness of the bracelet. For shorter pieces, you will have a few layers to your bracelet, while the longer ones allow for that chunky and bulky look. Whether you stop there with this darling new look, or you dazzle it up with a watch and some additional bangles, this look is sure to be the icing on the cake to your outfit! We absolutely love this piece and think it would be perfect to wear as a bracelet as well, or instead. The necklace is made of an alloy metal and is strong a sturdy. It comes as one long piece, without a clasp. This can be ideal for wrapping it how you want. You can wear it long around your neck, or wrap it once for a double layered look. Or you can take it even further, which we’re giddy about, and wrap it around your wrist 4 or 5 times. This would be so cute to wear as a bracelet because of its diversity within it. 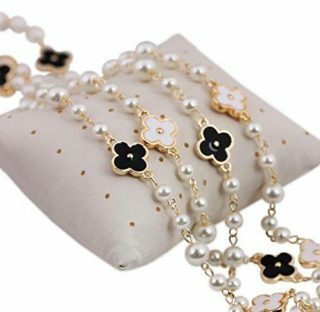 The faux pearls come in various sizes which makes it fun spaced out as a necklace and would be darling closer together and staggered as a bracelet. Then we have the clovers which are the perfect bit of contrast to the look. 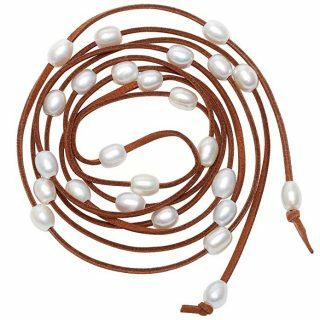 They would each fall on a different layer when worn as a bracelet, which would make it look really fancy and people would be asking you where you got such a cute bracelet. This is the perfect piece for you if you are looking for that luxurious high-priced brand look without the heavy price tag that comes with it. This piece is too much fun and we are thrilled with the idea of wearing it as a bracelet too! It is made of a metal such as copper, nickel, or brass and then often silver plated, or plated with some other valuable metal. Because of this, you can expect a necklace that is strong, but a price tag that is budget friendly. The beads range in beautiful pastel colors from blue, to purple, pink, orange, yellow, and white. 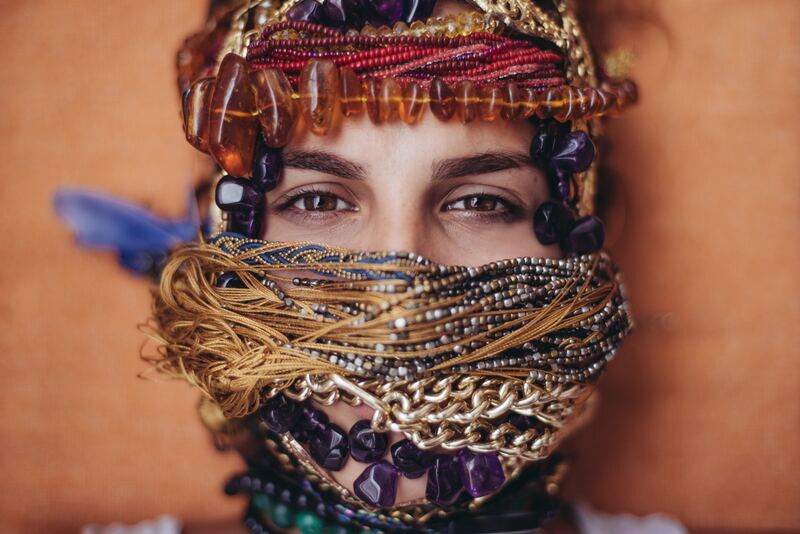 We love the different shades of each color that make each bead unique and breathtaking. The beads are made of resin, which may be a term you are familiar with, but maybe not. So if you aren’t sure what resin is or what it is used for in the jewelry world, here’s a brief explanation. The resin is a composite blend which is molded into products. Through the process, resin often turns out to mimic stone or other metal materials that would come at a much higher price. We like how the resin is used and created so beautifully, to produce a great product at a fair price. 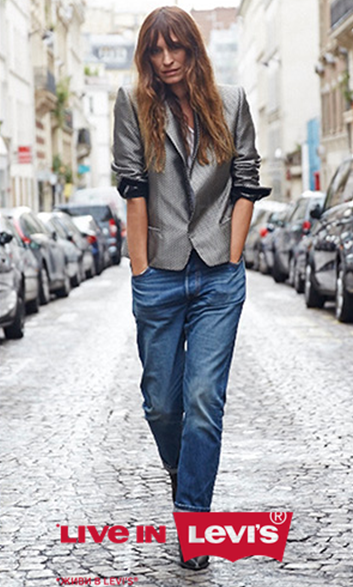 It is so versatile when it comes to pairing it with an outfit as well. 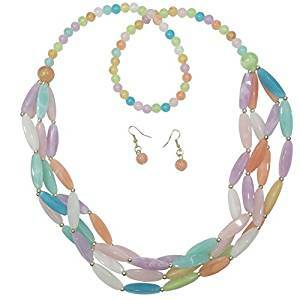 It would stand out fantastically against a white blouse but blend beautifully with a different color in the necklace such as blue, yellow, or purple. It is a piece that you’ll only want if you love receiving compliments. This piece does not have a clasp. So you don’t have to worry about it hanging awkwardly, wearing it in just the right position with the clasp down, or even blending it into the bracelet. The whole thing will flow together nicely. It is also available in light orange and white which would both be great if you are looking for a more simple version of this fun style! Best friends forever, BFFs, Besties, Number One, Bae, Ride or Die. Whatever you call your best gal, we have got the perfect necklace for you that can also be worn as a bracelet. This beautiful piece ties in classiness with fun. It is so exciting to give or to receive, maybe even to purchase together, a best friend piece of jewelry. It can be hard to decide what you both want and agree on. There are so many options out there. 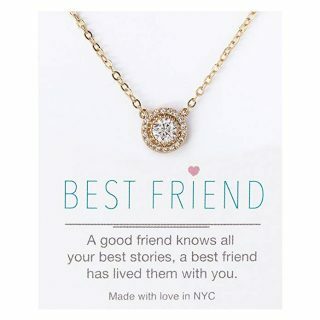 We are all familiar with the classic best friend pendant necklaces, things like a broken heart that says best friends and makes a heart when the two are brought back together. There are also the ones that have your initials or a locket that can hold a picture of you and your bestie. Don’t forget the puzzle pieces that are your favorite colors or maybe even have a quote on them, or of course, you can go with something you both have in common like an ice cream cone or your favorite mutual animal. As adorable as all of those options are, because let’s be real they are super cute and you can absolutely find them for any age range, this piece takes the best friend symbolism to a more simple and classic look. This is a look that is perfect for any friends, whether that be two of you or an entire group of you. It’s great for daytime wear or a night out. A 12-year-old could wear this with her sparkly shirt or a 50-year-old mom with a blazer to work. This is a fabulous fit for any age range and a piece that is affordable enough for any friendship. The piece is made of 14k yellow gold over sterling silver and shines with quality cubic zirconia crystals. The necklace is 16 inches long with a 2-inch extender and the sparkly pendant is about 1 cm in diameter. It is hypoallergenic and lead and nickel free. All of these qualities make it a great fit for any friend in your closest group. 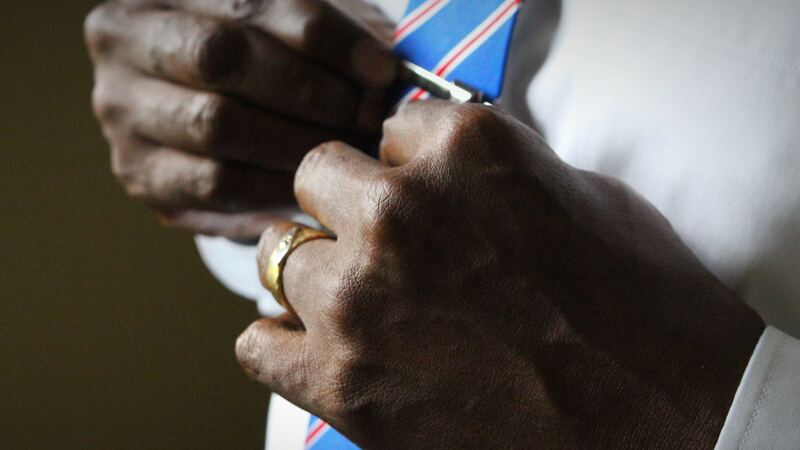 But the thing that excites us the most about it is how beautiful it would look as a bracelet as well. If you are looking for something with your best friend, but can’t decide because you want a bracelet and she wants a necklace, this is absolutely the one for you. How gorgeous is this earth-tone colored necklace? 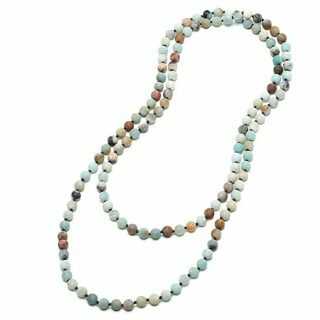 It measures about 38 inches long and is perfect for layering as a necklace or switching up and wearing as a layered bracelet. It has a link chain that is 14k gold plated with crystal and wood small gems on it. It is nickel free and lead free and comes at a great low price. We are delighted with the variety of stones and jewels on this piece. This is a fabulouspiece to transition into fall and winter. We picture this one beautifully wrapped as a bracelet and then paired with more jewelry. Imagine it on your wrist, each detail coming to life as their colors sit closer together and contrast each other perfectly. Then add a camel or brown solid color watch. We love how the two pieces would fit so well together with a short sleeve or even over a sweater sleeve. It’s a dreamy piece and would turn into just as beautiful of a bracelet as it is as the necklace! This piece is so cute. It makes us want to be transported to a beach with the sun in the sky, a slight breeze, and sand on our toes as we walk alongside the ocean. And anything that gives off those kinds of vibes is an absolute must, right? It is perfect to wear as a necklace, a bracelet, or even an anklet. Our favorite way is the bracelet with a few inches of tie left after wrapping it so that the pears dangle down by your wrist. It is such a stunning piece and sure to give the beach style you are wanting to your outfit. It comes in eight different options. You can get it in four colors and two different lengths per color. There is black, dark brown, grey, and light brown. Each one is available in 48 inches and 68 inches. It is made of a beautiful faux suede cord that will flatter your skin tone and feel comfortable no matter where you wear it. Each of the teardrop shaped pearls are freshwater pearls that are colored white. 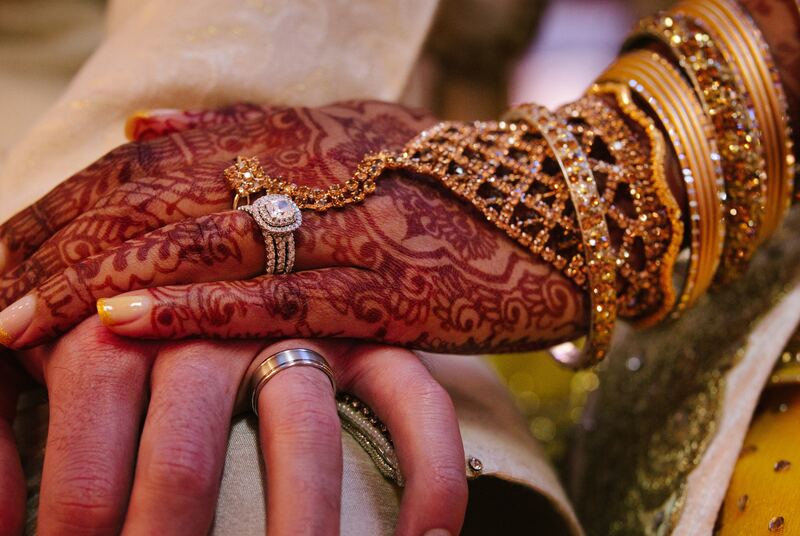 We love the way that the pearls are each unique and though each one is imperfect, they all come together perfectly and look absolutely beautiful. This piece is available in two different lengths, 47 inches, and 59 inches. You can wear it as a long necklace, a layered one, or even a necklace with a hanging knot. But further than that, you can wear it as a bracelet, wrapped numerous times to make it tight, or just a couple of times with a bit of leftover strand hanging down. We love this piece and the way that it was made for this exact style diversity. Its neutral colors are appealing and can be worn with lots of different attire. We love the soft shades of blues, the brown, gray, and white. The different shades of each of them make the overall piece stunning. But there may be some of you who are a bit of a yogi if you will. Maybe you are someone who loves connecting with nature, someone who is passionate about making connections and thinking deep and intentional about things. If that is you in any way, this bracelet, or necklace, just got even better. The stones are called amazonite gemstones. Amazonite stones are untreated natural raw stones that are said to be that of harmony within yourself and among others. It is also said to represent a peacemaker, helping you to express yourself while being sincere and avoiding too much emotion or negativity. The stone works through the throat chakra, and because of that, it helps you to express your thoughts and feelings in a positive and constructive manner. So whether you are someone who is passionate about chakras and intuitive thinking and actions, or someone who is drawn to this necklace because of its simplicity and beauty, this is a fantastic option for you. We aren’t the only ones who are obsessed with this beautiful piece, and it’s obvious why. This style is so popular and flexible which is what we love most about it. The piece is super inexpensive which is attractive to any eye and it is very easy to pair with anything you want. It is made of great quality leather material and the gold dangles on the end are made of an alloy metal that is durable and allows this piece to be priced so low. It is about 48 inches long. 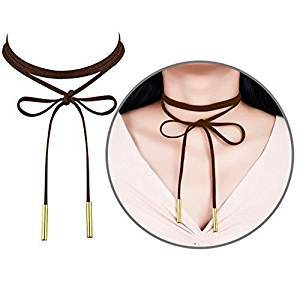 This makes it the perfect length to wear long as a necklace, wrap once and then let hang for a layered look, or even to wrap as a choker and then tie in a bow. 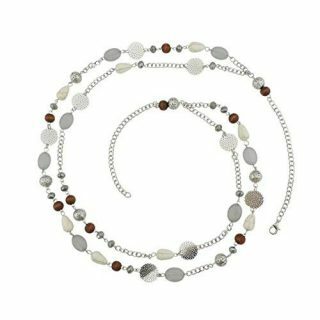 And just like our other gorgeous and long strand necklace options, this is a great one to transition to changeover into a wrapped bracelet as well. Because titis so simple, it would look darling with a solid colored top or even a patterned sweater. You could easily pull this off as a wrapped bracelet on its own, flaunting the gold colored dangles and the layered wrapping. Or you could pair it with a plethora of options from your jewelry collection. Wear it with a watch, a dangle or two, or even other bracelets that will easily tie in with this beautiful brown color with gold accents. There are additional color options as well if you find yourself wanting to stalk up on this stunning piece and add black to your collection as well. Why would you not want to when it is such a diverse piece of jewelry? This is a ‘bang for your buck’ kind of buy! We are in love with this gold rope necklace. It is made of a gold plated base with additional alloy to make it more durable and ensure that it will last you. It is priced fair for its great quality. It is available in seven sizes, ranging in two-inch increments from sizes 16 to 30. If your necklace is to break or tarnishes, you can confidently replace it with this company for as long as you own it. They want you to love it like you hope to and this ensures that you have security in the money you spend. So as gorgeous as this piece is, we are obsessed with it as a bracelet. This bracelet look is inspired by none other than Miley Cyrus. We all know that she has got a great mix of classy and edgy in her style that can be totally breathtaking. 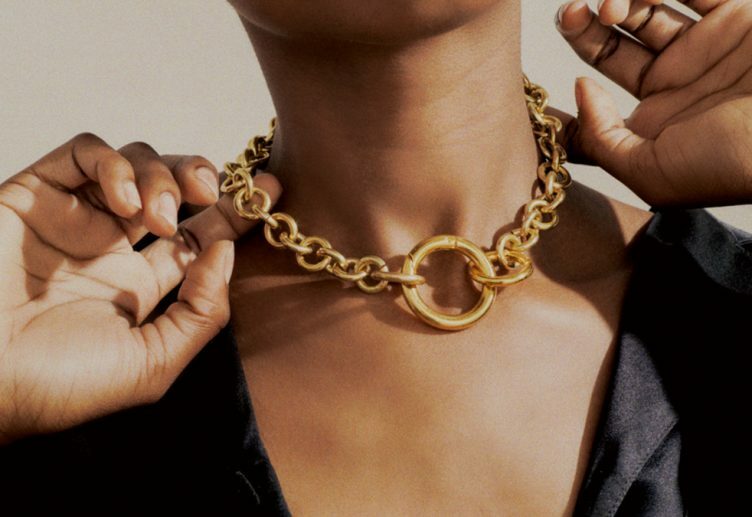 She frequently rocks a layered gold necklace or bracelet and we love the statement it makes. Wrap it around your wrist a few times, for a more layered look go with a longer length like 28 or 30 inches and for a more simple look go with a shorter length like 16 or 18 inches. Regardless of the length and amount of layers your choose, worn as a bracelet is sure to stand out and catch eyes as they go by. Because it is such a classy gold it works perfectly with almost any outfit you have on, and is a fabulous statement piece during the day or dressed up at night. We can’t get enough of this gorgeous piece and absolutely love the idea of rocking it like Miley as a layered and bold bracelet. Pearls anybody? Yes, please. Do you ever worry about wearing pearl jewelry? On one hand, it’s stressful because pearls are so high class and elegant. On the other hand, a set that is not real may lack severely in quality and appear to be cheap. If you are concerned about getting great pearls at a fraction at the price, we have good news for you. This necklace offers just that. We love this beautiful piece and the faux pearls that make it affordable. They are great quality and are perfect for a dazzling flapper girl look. Pearls are a piece of jewelry that will never, ever, go out of style. They are bold and shine against anything, yet totally dainty and subtly gorgeous. 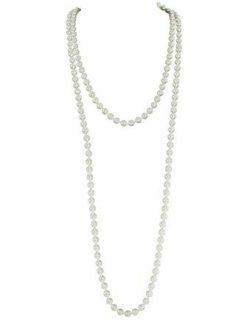 Whether you actually want to wear them as a flapper girl or simply with a nice dress to work, a date, or church, this is a great choice in a necklace for you. Even better is this necklace made into a bracelet. It is 55 inches long and a fantastic length to place on your wrist, wrap a few times, and like magic you have a stunning new bracelet. Your friends will be asking where you got this layered pearl bracelet. As they ponder how much they’ll have to pay for it, don’t worry your secret’s safe with us, you’ll be smiling knowing that you bought it as a necklace and used your artistic eye to switch it to a bracelet. 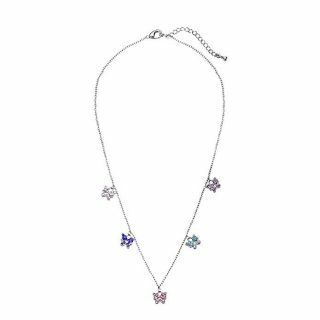 Last but not least we have this unique butterfly charm necklace. We think this is the perfect piece for older girls, teens, or young adult women. The butterfly charms are adorable and each one is high-quality cubic zirconia. 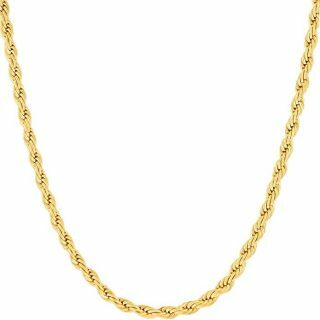 The chain is made of shiny stainless steel to create a strong chain with an easy closing closure. The detail in the butterflies is endearing. Each one is speckled with different colors of tiny cubic zirconia stones. The colors include sapphire, tanzanite, white, pink, and aqua. They will not tarnish and are sure to sparkle forever just as you want them to do. We have listed this piece to wear as a bracelet because we love how different it is from the others. The charms are so dainty and adorable. Take the bracelet and lay the charms on the top of your wrist, dangling them down and around. Then wrap the chain another time or two until it is securely on your wrist. Next, clasp the chain to keep it on. Adjust the bracelet so that the clasped hanging remains on the back of your wrist, while the charms dangle all around your wrist. Just like that, you have an adorable piece that creates a unique charm bracelet! So there it is 10 gorgeous necklaces that you can wear as bracelets. Any of these 10 necklaces would be fantastic options to try out. You will love the way you can completely switch up your look by rearranging your jewelry and wearing it more than one ways!